Six-time world women boxing champion M C Mary Kom was on Monday named as a brand ambassador for global sportswear giant PUMA for a two-year period. 'Magnificent Mary', as she is popularly known as, will be PUMA India's new ambassador for the company's women's training category and shall represent the brand in marketing campaigns in the country. 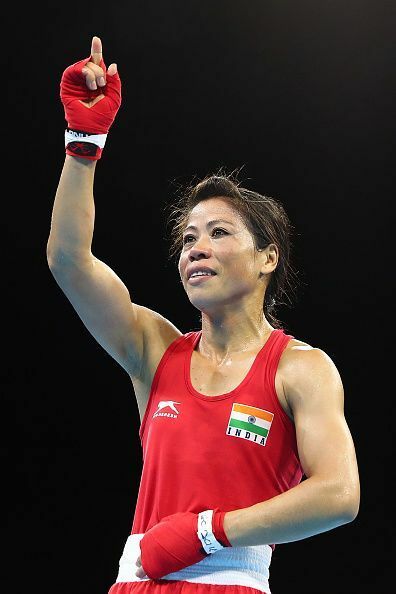 According to a statement, the association has been facilitated by IOS Sports and Entertainment Pvt Ltd, which exclusively represents Mary Kom. A champion boxer and a super mom, Mary Kom is a role model to millions of women in India. She will lead PUMA's #DoYou conversation that aims to motivate women across the nation to be strong and accomplish their goals. Talking about the association, Mary Kom said, "Being a woman and a mother I have faced several challenges that I have powered through, thanks to my family and team. "PUMA as a brand has always believed in supporting and encouraging women, which made it a perfect fit for me." PUMA India Managing Director, Abhishek Ganguly said: "We are very thrilled to welcome Mary to the PUMA family. She is going to take our women's category in India to the next level. 5 Reasons why MMA is killing Boxing.